One of North America’s more diverse rubber suppliers, Colonial Diversified Polymer Products, LLC is the preferred choice for foam rubber due to superior quality, on time delivery, competitive pricing and dedicated associates. Our West Tennessee location is in the middle of America’s Transportation Corridor: I-69 from Canada to Mexico, I-40 from the Atlantic to Pacific Ocean, and just off of the Mississippi River. Colonial DPP is a certified Woman Owned Small Business by the U.S. Women’s Chamber of Commerce. 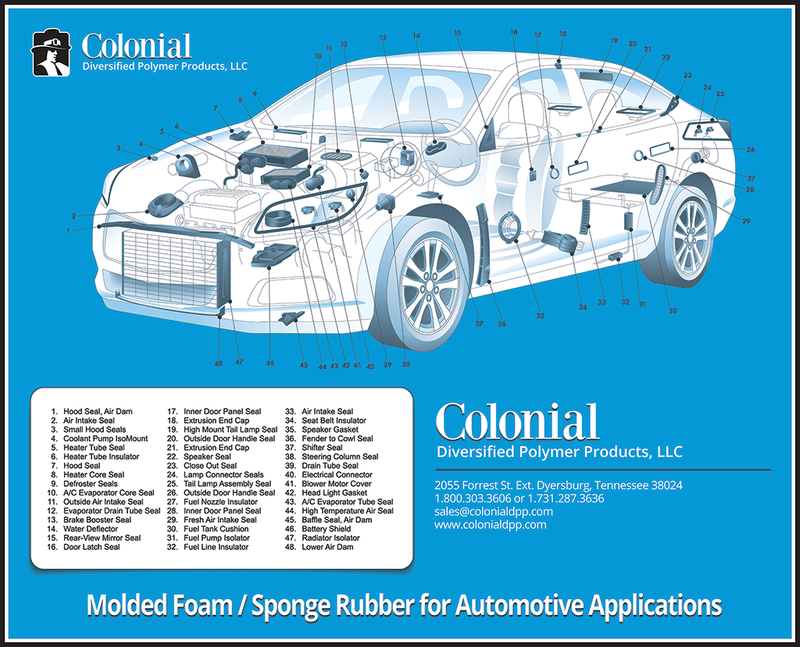 In 1946, Colonial Rubber began molding cellular (foam, sponge) rubber seals and gaskets for the automotive industry in Logansport, Indiana. The company moved to Dyersburg, Tennessee in 1955. Shortly thereafter, Colonial began custom compounding formulas for the wire and cable industry. Custom mixing of rubber quickly grew to be the largest part of the business. From 1962 through 1999, Colonial Rubber Works was at various times owned by Allen Industries of Detroit, MI; Dayco Corp. of Dayton, OH and MA Hanna Co. of Cleveland, OH. 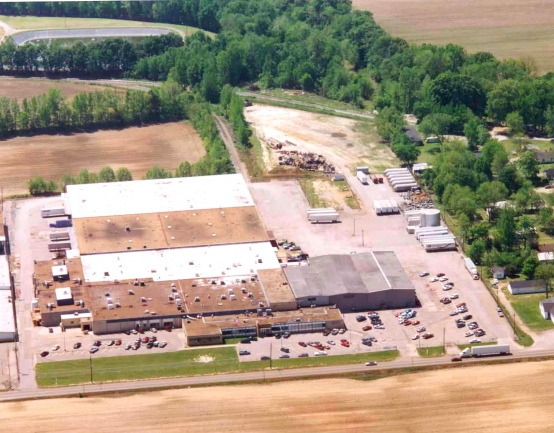 Under the Colonial name in Dyersburg, rug underlay products; elastomeric roofing operations and plastic compounding were added. In 2000, a group of local investors lead by the Colonial DPP management team purchased the Diversified Polymer Products division from MA Hanna Co. and retained the Colonial name. Other cellular products, injection molded dense rubber, extrusions, and die cut parts were added to the existing manufacturing base. The warehouse and logistics business also increased. In 2007 Colonial re-started a custom rubber mixing operation and added small assemblies to the portfolio. Colonial DPP is ISO/TS16949 Quality and IS014001 Environmental registered and practices Lean Manufacturing; 5S; Advanced Product Quality Planning; and Team Oriented Problem Solving disciplines. The quality system is focused on excellence, with lot traceability from the incoming inspection of raw materials to the final audit of outgoing products. Rapid response and on-time delivery are part of our ongoing customer satisfaction. Colonial’s extensive on-site lab follows ASTM and RMA procedures. Our engineering; tool & die shop and prototype facilities further enhance our competitive advantage. Colonial supplies and partners with numerous industries: automotive, defense, commercial building, construction, farm equipment, aerospace, computers, medical, telecommunications, recreation, health, entertainment, plumbing, refrigeration and many more.